What does history teach us about Fetal Alcohol Spectrum Disorder? What does history teach us about FASD? Is Fetal Alcohol Spectrum Disorder (FASD) a new and emerging disability, or was it always present but hidden and ignored? To many people the mention of history conjures up a classroom, perhaps on a hot and listless summer afternoon and a topic of limited interest to you. But in the study and understanding of FASD; reviewing the past will assist prevention in the future. The human race has enjoyed a 9,000-year-old love affair with alcohol. Like all long-standing relationships, our relationship with alcohol is a complex one. It once kept us warm, fostering feelings of friendship and camaraderie around the firesides of ancient times. Many cultures brewed and distilled and used these products for consumption, ceremonial purposes and celebrations. 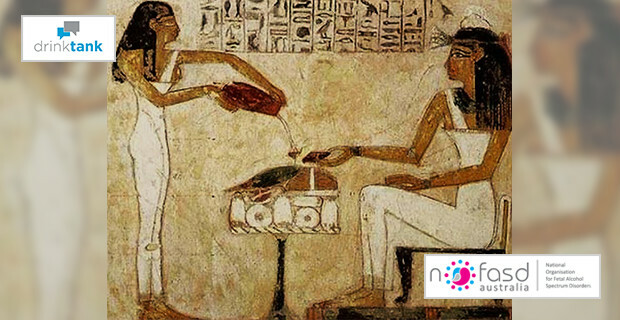 From the Egyptians of 5,000 years ago to the Incas of 1,000 years ago, alcohol has been there. The presence of alcohol in the recorded Judeo-Christian world is very evident. The symbolism of wine in the Last Supper is but one example. In many ceremonial religious observances today, wine features heavily. Arguably, alcohol continues to keep us warm and cosy in supportive social bubbles surrounded by good friends, food and other trappings of a fortunate life. However, by this fireside we are joined by evidence-based research which now points to many health and societal harms caused by alcohol. One of the most serious is the potential outcome from an alcohol-exposed pregnancy. This outcome, is now described as Fetal Alcohol Spectrum Disorder (FASD). Prior to this the name Fetal Alcohol Syndrome (FAS) and a complicated ‘alphabet soup’ described wide-ranging outcomes resulting from pre-natal alcohol exposure. The original term Fetal Alcohol Syndrome was coined in 1973 as the result of research published in the British Medical Journal, the Lancet, by Dr David Smith and Dr Kenneth Jones of the University of Washington in the United States. Jones subsequently observed that the research was disbelieved, with critics claiming that pregnancy and alcohol had been intermingled for many years without harm. His comments highlight the continuing problems which plague public health and community initiatives to prevent ongoing harm to unborn children through alcohol exposure in the womb. FASD is not new. It was not ‘discovered’ in 1973 – though we are fortunate that Jones and Smith carefully documented it and met the standards required by peer-reviewed publications to ensure that the work was published in the British Medical Journal. This work arguably commenced the modern era of research and knowledge associated with alcohol and pregnancy. What of the old era? How hard is it to find evidence of the knowledge of harms caused of alcohol exposed pregnancy? It is not hard at all. In the Bible’s book of Judges, chapter 13, verse 3-4, Samson’s Mother, previously barren, is advised…..“thou shalt conceive and bear a son; now therefore beware,….. drink not wine or strong drink”. In ancient Carthage and Sparta there were laws prohibiting the use of alcohol by newly married couples to prevent the birth of children with birth defects. While these ancient historical records have been contested, there can be no doubt of the meaning and concerns about alcohol in the 19th century. Hansard reports in the British Parliament on an 1834 House of Commons Select Committee established to “inquire into the causes and consequences of drunkenness, and to see whether any, and what legislative measures could be adopted to prevent the increase of this evil”. Even before the report could be published Hansard records a heated discussion between elected members Hawes and Buckingham. Hawes attempted to prevent publication of the report because of the fiscal impact of proposed legislation to control sale and supply of alcohol, remarking in his horror “what of our West Indian colonies”. This report reviewed universal harms associated with drunkenness and noted that babies born to alcoholic mothers had a “starved, shrivelled and imperfect look”. New Zealand Maori Chief, Haimona Te Aoterangi and 167 other chiefs in a petition presented on the 18th of August, 1874 to the New Zealand Government House of Representatives, asked for this “evil leviathan which you brought to this island to destroy us, our lands and our children, to be taken away….Our children are not born healthy because the parents drink to excess”. In 1899, Dr William Sullivan reviewed 600 children of 120 mothers described as alcoholic in the Liverpool Prison in the United Kingdom. He noted high rates of still birth, birth defects and also observed that forced abstinence from alcohol enabled women who had previously produced children with birth defects to be able to produce healthy infants. Kenneth Lyons Jones noted in his article Recognition and History of the Fetal Alcohol Syndrome (2009) that despite this historical research, no serious evaluation of the problem was undertaken and the medical community generally remained agnostic regarding the issue despite this evidence that exposure to alcohol presented a serious risk for an unborn child. Indeed, this clear-cut evidence was largely forgotten and even dismissed by the 1940’s, as noted by the work of Haggard and Jellinek, in their 1942 book Alcohol Explored when they stated that alcohol presented no risk in pregnancy. We turn to Australia in the early 1960’s, ten years before the Smith and Jones research when Dr Elizabeth K Turner, a paediatrician, reported on some of her cases to the Annual General Meeting of the Australian Paediatric Society in Canberra. Dr Turner made the connection to birth defects and alcohol through a group of children whose mothers had alcohol misuse issues. Her photos and records describe what has become known as the physical features associated with Fetal Alcohol Syndrome. This previously little-known record was included in the record of the proceedings at the Autumn School of Studies into Alcohol and Drugs held at St Vincent’s Hospital, Melbourne in 1980, when it was hoped that there could be “a simple means of detecting women whose enzyme levels suggest that they should on no account drink alcohol during pregnancy”. So, what can we learn from this history of Fetal Alcohol Spectrum Disorder? Our relationship with alcohol is long-standing, complex and is embedded in many cultures. Evidence related to harmful outcomes from exposure to alcohol in-utero has been observed throughout the pages of history. There is absolutely no doubt that alcohol is not particularly good for anyone; there is absolutely no doubt that exposure to alcohol is a risk to an unborn child; and there is no doubt that despite historical evidence and robust research data there is resistance. Communities face a subtle pressure to ignore the problem, and instead focus on the quantity of alcohol required, the health determinants of women drinkers, and the pregnant women – as if they alone have the responsibility to prevent alcohol exposed pregnancies. So as we huddle around the modern day equivalent of our campfires of a thousand years ago, while consuming the output of fermented fruit or grain of which we have grown so fond, spare a thought for International FASD Awareness Day. On this 9th day of the 9th month, symbolising pregnancy, use our modern-day knowledge, awareness and evidence – based research on health, nutrition and well-being – to support those who are pregnant, those who are planning to become pregnant, and those who could be pregnant and don’t yet know it. 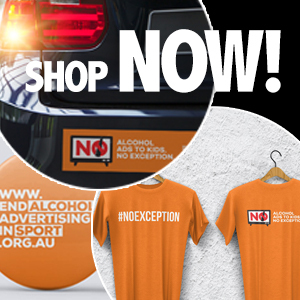 If the NRL truly want to stop their player’s shameful behaviour, it must address the booze culture it has created with its excessive alcohol sponsorship.